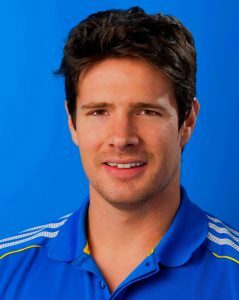 Paddy is a multidisciplinary medical research scientist, with groundings in human physiology, sport and exercise science and public health. He is a National Health & Medical Research Council (NHMRC) Postdoctoral Fellow currently based within the Physical Activity Epidemiology programme, and continues to work in collaboration with several laboratories (Physical Activity, Behavioural Epidemiology and Metabolic and Vascular Physiology) at the Baker Heart and Diabetes Institute and Monash University in Melbourne, Australia – where he conducted his PhD studies. Paddy’s research interests are currently focused on the role of sedentary behaviour, physical activity and diet (including their interacting effects) in the prevention and management of chronic diseases – particularly type 2 diabetes and cardiovascular disease. Dr Dempsey utilises epidemiological, mechanistic/clinical and interventional research methods to enhance research discovery and translation. He is experienced in developing and coordinating human intervention trials, from grant application through to journal publication, as well as in managing and publishing findings using large epidemiological datasets. His research on physical activity, sedentary behaviour and diabetes has been published in high-impact medical journals, has influenced international physical activity/exercise clinical guidelines for diabetes patients, and has received international media attention.